""Talking of creative integrity in Hollywood is akin to preaching chastity in a whorehouse."" So reads the first line in film critic Horsley's polemic on the crooked, spineless and heartless industry that churns out hundreds of mercilessly wretched entertainment capsules every year. 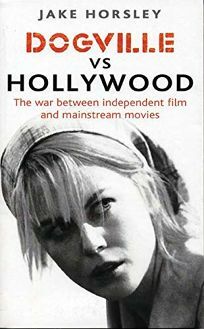 Using Lars von Trier's ""Dogme 95"" stipulations for filmmakers, as well as his interpretation of the director's fiercely independent 2004 film, Dogville, the author attempts to reveal how Hollywood's overriding greed has ruined visionary filmmakers, and though his arguments may not convince, they're relentlessly entertaining. Horsley's prose overflows with vitriol and colorful personal take-downs. To wit: Star Wars writer/director George Lucas ""can no longer be considered human in the usual sense,"" while Steven Spielberg ""lacks the intelligence for making observations...about the 'heart of man,'"" ""auteur lite"" Kevin Smith's Clerks is ""an all-round 'bad' movie with nothing going for it save its bawdy, irreverent humor and a complete indifference to credentials (of which it had none)"" and Raising Arizona was ""a movie about a baby co-starring Nicolas Cage's hair."" But even Horsley has his sacred cows: Woody Allen, John Waters, David Lynch and (perhaps surprisingly) Clint Eastwood among them. Readers who watch ""films,"" but not ""movies,"" will want to pick up this rollicking evisceration of Hollywood.